Be like the tax collector, not the Pharisee, and approach God in humble repentance. Be like Jesus, who welcomed "sinners" like tax collectors. The parable of the sower presents four different ways people respond to God's word. What lessons are in the parable for us today? (1) Make sure your heart is like to good soil, and (2) share God's word with everyone. We are not to ask who our neighbor is; we are to be a neighbor. To be a neighbor is to show compassion. Even my enemy is my neighbor. 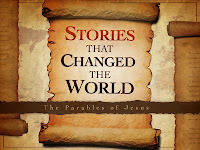 One of the trademarks of Jesus' teaching was His use of parables. A parable could be defined as an earthly story that teaches a spiritual truth. This summer, we will examine several of the stories of Jesus (including favorites such as the Prodigal Son, the Sower, and the Good Samaritan) and discover some important lessons for our lives today. The Holy Spirit wants to produce His fruit in our lives. But how is the fruit of the Spirit developed?